Ross Whitaker is one of Ireland’s best known and respected documentary filmmakers. 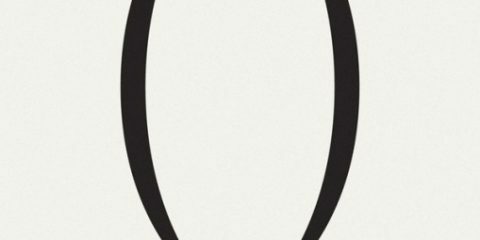 Former commissioning editor of Film Ireland and former festival programmer of Stranger Than Fiction at the IFI, he is well versed in the language of film and an active participant on the Irish film scene. His first feature, the self-funded Saviours, was called the “best Irish film of 2008” by the Sunday Tribune. 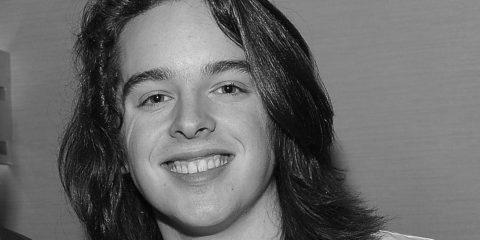 His follow-up short Bye Bye Now won awards at multiple festivals including Silverdocs and Nashville. His work in television with Blind Man Walking in 2010 and the Prime Time political documentary The Bailout in 2011 has also drawn great praise. He is best known for the riveting and emotionally powerful documentary features When Ali Came to Ireland (2012), Unbreakable: The Mark Pollack Story (2014), and Between Land and Sea (2106). He most recently made the acclaimed TV documentary Anthony Foley: Munsterman, which provided an extraordinarily insight into the events surrounding Foley as a rugby player and coach, his death, and the emotional aftermath. #IrishFilm: Ross Whitaker’s captivating documentary Katie hits Netflix on March 11th - Award-winning Katie Taylor documentary Katie directed by Ross Whitaker will be available to stream on Netflix in Ireland from Monday, 11 March. 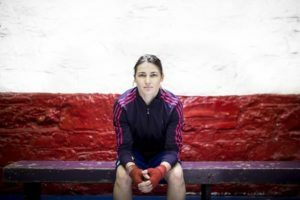 #Review: Katie - Irish boxing phenom Katie Taylor is the subject of award-winning documentarian Ross Whitaker’s latest film, appropriately titled, Katie. #IrishFilm: Ross Whitaker’s Katie named Screen Directors Guild Finders Series Award-winner for 2018 - The Screen Directors Guild of Ireland, in association with the DGA, has announced the winner of the Directors Finders Series 2018 as Ross Whitaker. 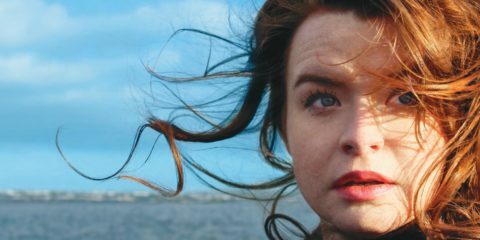 #IrishFilm: Watch the trailer for Ross Whitaker’s captivating documentary Katie - Watch the trailer for the critically acclaimed and award-winning documentary Katie ahead of its Irish cinema release on October 26th. #IrishFilm: Ross Whitaker’s award-winning doc Katie to hit Irish screens on October 26th - Wildcard Distribution Wildcard Distribution is an Irish film distributor established in early 2013 specialising in new and fresh approaches to distribution. to release Ross Whitaker's eagerly anticipated Katie Taylor documentary, Katie, in cinemas across Ireland on Friday, October 26th. #IrishFilm: WestEnd Films to sell international rights for Ross Whitaker’s Katie - WestEnd Films has acquired the rights to sell Ross Whitaker's documentary on Irish boxing champion Katie Taylor, Katie, to international audiences. 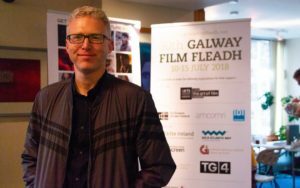 #Fleadh18: Katie, Don’t Go and Captain Morten among first four titles announced for the 30th Galway Film Fleadh - The Galway Film Fleadh has announced the first four films that will play at their 30th annual festival, taking place from 10th – 15th July. These include the premieres of three Irish films: Ross Whitaker's Katie, David Gleeson's Don't Go, and Telegael's Captain Morten and the Spider Queen. #IrishFilm: Wildcard Distribution to release Katie Taylor: The Comeback this summer - Wildcard Distribution has acquired the UK and Irish rights to Ross Whitaker's documentary on Irish boxing champion Katie Taylor, titled Katie Taylor: The Comeback. They will release the film in Irish and UK cinemas this summer. 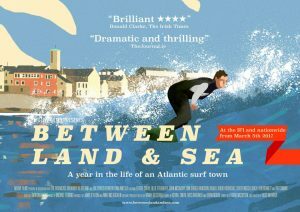 #Competition: Win tickets to Between Land and Sea with Q&A on May 16th at the IFI - Win tickets to the final screening of Ross Whitaker's extraordinary documentary Between Land and Sea on May 16th at the IFI, with director Q&A. 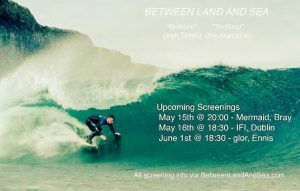 #IrishFilm: Between Land and Sea adds extra dates at locations nationwide - Due to demand, breakout hit Irish surf film, Between Land and Sea, adds additional screenings in the IFI, Naas, Kilkenny, Limerick, Sligo and Westport.